1. 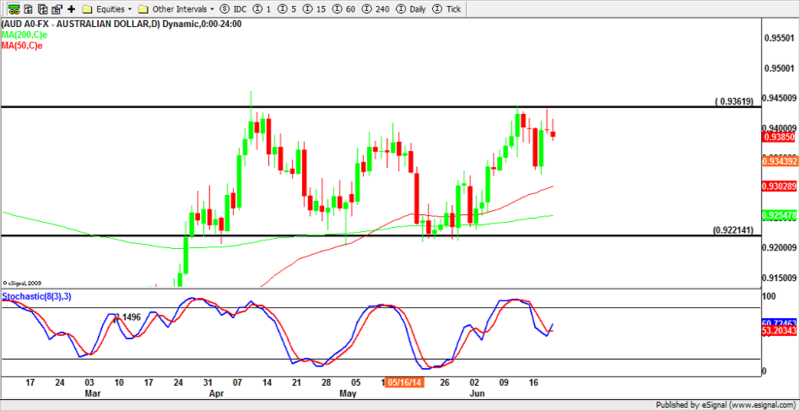 NZDUSD (Daily Chart) – Power Pivot Long – 05.06.2014 – After a significant retracement to its 50% fib level from January’s lows, the market showed signs of divergence indicating that the move lower was burning out of steam. This coincided beautifully with a significant horizontal level at the big 8400 handle and a fib over-extension. Finally price action arrived with a low test reversal bar on Wednesday 4th June. Taking this as a power pivot trade, entries were triggered the next day and price rallied strongly through the course of the month. Taking profits at the recent highs around the 8700 handle was wise, and enabled a profit of +3.6%. I hope you caught this as this was the exact trade level suggested you bought from in last months (May’s) UW report! 2. 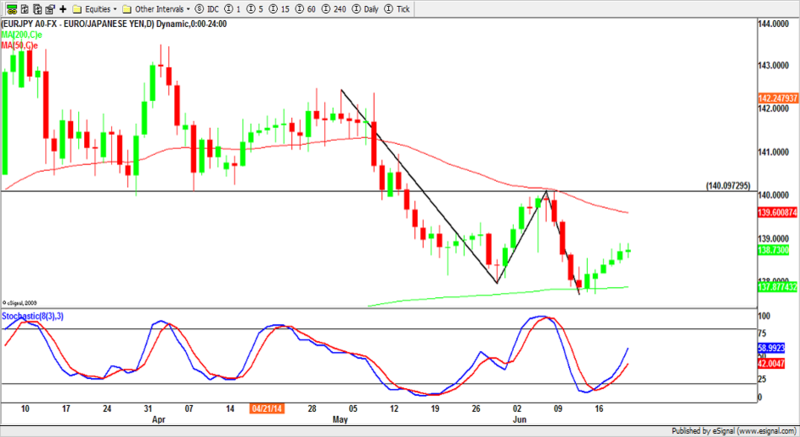 CHFJPY (Daily Chart) – Power Pivot Trade Short – 10.06.2014 – A correlation of clues all came together to meet the criteria for a high probability trade. 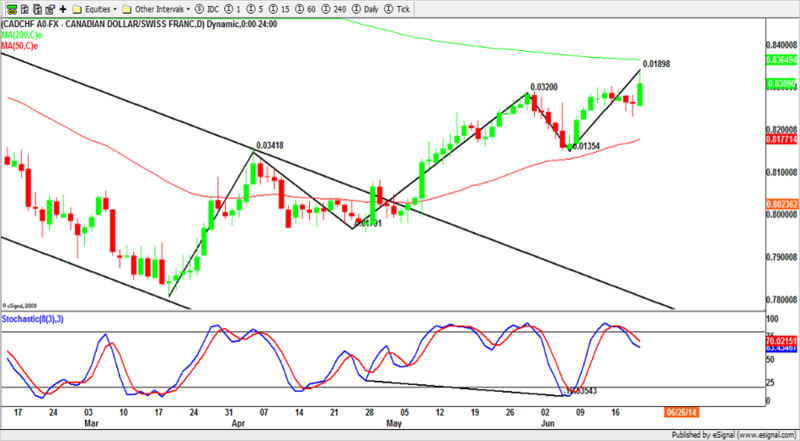 A soft horizontal level providing resistance alongside the 50 moving average, significant stochastic hidden divergence, fib retracement and a key reversal inside seller bar on Monday 9th June. The low of Monday was broken on the Tuesday triggering in traders with a stop above Monday’s high. The trade provided a brilliant reward to risk as the entry bar was small and thus keeping the overall risk small too. The market broke strongly lower, reaching the previous swing low where traders took profit of around +2.4%. 3. 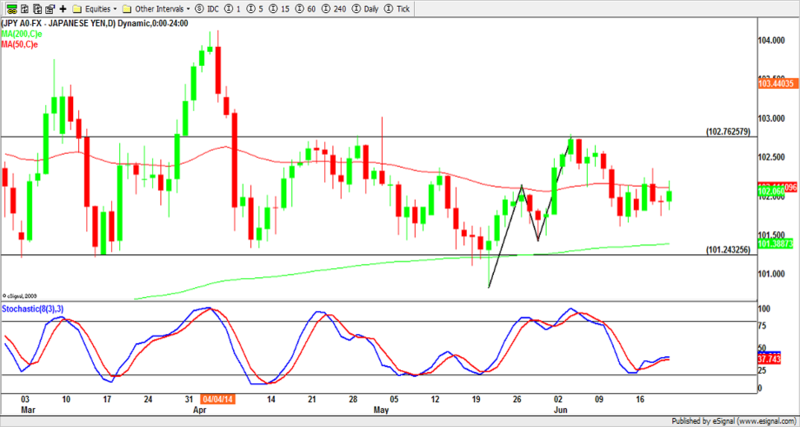 CADCHF (Daily Chart) – Power Pivot Trade Long – 09.06.2014 – The daily chart had been in a nice healthy uptrend since mid-March. Off the back of a new high formed at the end of last month, price had retraced back to a horizontal level of support as well as the 0.382 fib level. The hidden divergence on the stochastic also made good viewing as this gave confidence a strong move higher was likely and as a minimum the previous high would be taken out. Friday 6th June gave the most powerful clue of them all, after the big selling day on the Thursday there was no follow through the next day. Fridays bar held and finished as a strong inside buyer bar, hinting buyers were holding the price up. Monday, buyers dominated, breaking the high of Friday where traders got in (stop under the low) and the market rallied higher taking out the previous high for a +1.9% trade. 4. USDJPY (Daily Chart) – Power Pivot Trade Long 02.06.2014 – The pair was fresh off a significant bounce higher from a strong support level and divergence so when the first pull back came it provided an efficient entry to enter and ride up to the top of its channel around the 102.70 level. The last week of May provided a decent pull back into the middle of the channel which coincided with the 50% fib level alongside 2 consecutive low test bars. 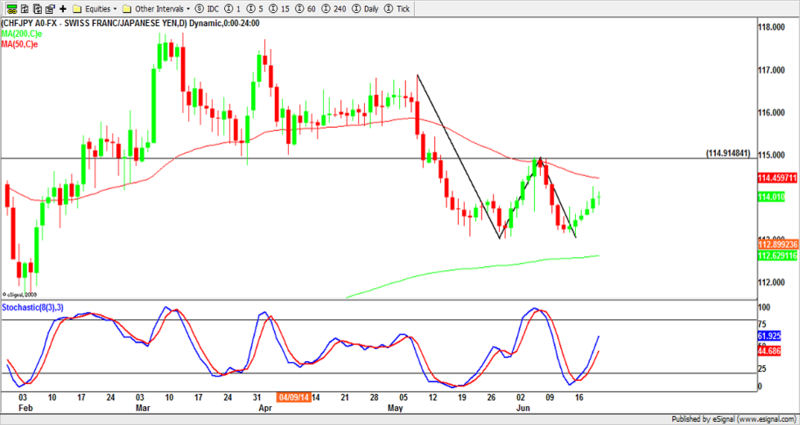 Friday’s bar (30th May) finished the day as a strong low test buyer bar so traders were looking to enter on the break of its high (stop under the low) on Sunday’s open which arrived, entered positions and through the week rallied to its target for a +2.2% return. 5. EURJPY (Daily Chart) – Power Pivot Trade Short 10.06.2014 – With the lack of follow through to the upside after the ECB rate statement, the EUR weakness continued. This particular trade provided all the clues necessary for a high probability, continuation trade short. A healthy retracement to the 50ema and a significant horizontal level of resistance. There was also clear hidden divergence present alongside Monday’s (9th June) significant reversal outside seller bar. Taking an entry on the break of Monday’s low with a stop above the high gave efficiency in the entry and the trade broke the previous low whilst at the same time allowing traders to bank a +1.6% profit. Current opportunities – these are hypothetical trade setups and not all trades will trigger or setup. It is important to seek guidance on trading these setups before risking your own money. Below are areas where we are looking for an opportunity for a trade, not exact levels to buy or sell. Price Action at the time can only dictate our approach. AUDUSD – This pair is fixed within a nice price range between 92.20 (support) and 94.20 (resistance) so gives us some great technical landmarks to trade from and a big 200 pip range to take some profit from. Buy from support or sell from resistance would be one option. If price breaks out from resistance or support then we have our key levels to trade the re-test i.e. If price breaks out of resistance we could use this level as support to trade the next leg higher. Obviously it would be the opposite if it broke out from support. Again, don’t just trade the levels; add further factors into the equation to give greater confidence that a turn will take place. Price action is key, is there a fib level? Is there convergence or divergence? These extra clues will give you the answers to what has the highest probability of happening i.e. a reversal or a breakout and then you can trade accordingly.